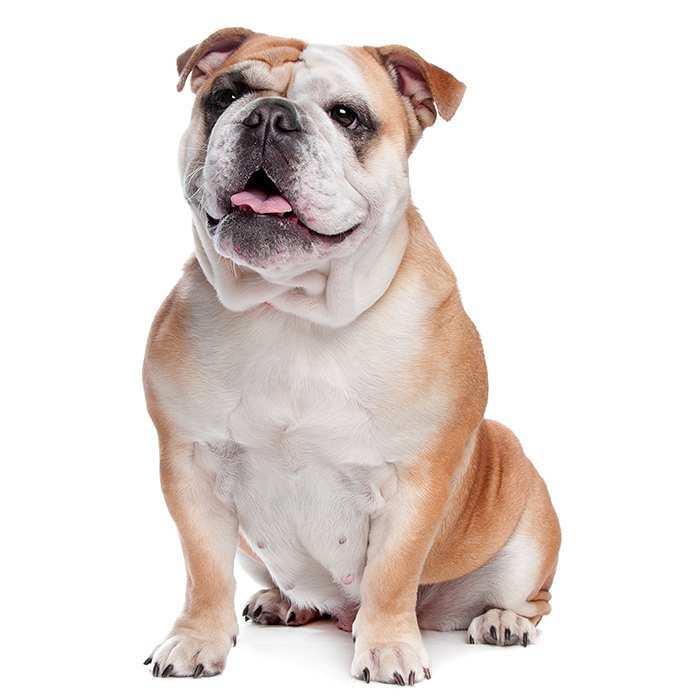 The English Bulldog is iconic for its wide-set frame, muscular physic and compact stubby legs. The body is stocky and dense and the head is large and wide. A hallmark of the breed is the folds of skin that form around the face and forehead of the animal, together with the drooping cheeks that extend from each eye. 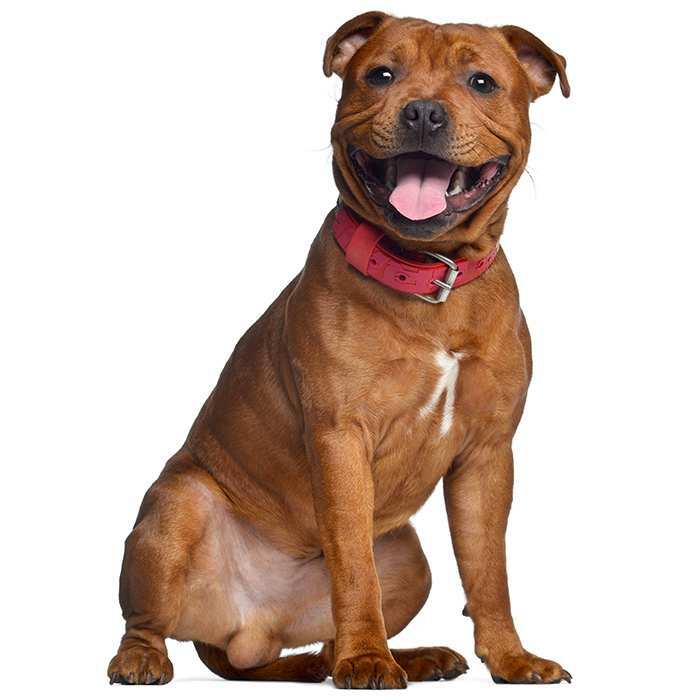 A direct decedent of the ancient Mastiff breeds and thought to have been mixed with Old English Terrier types, the Bulldog was developed entirely in England. 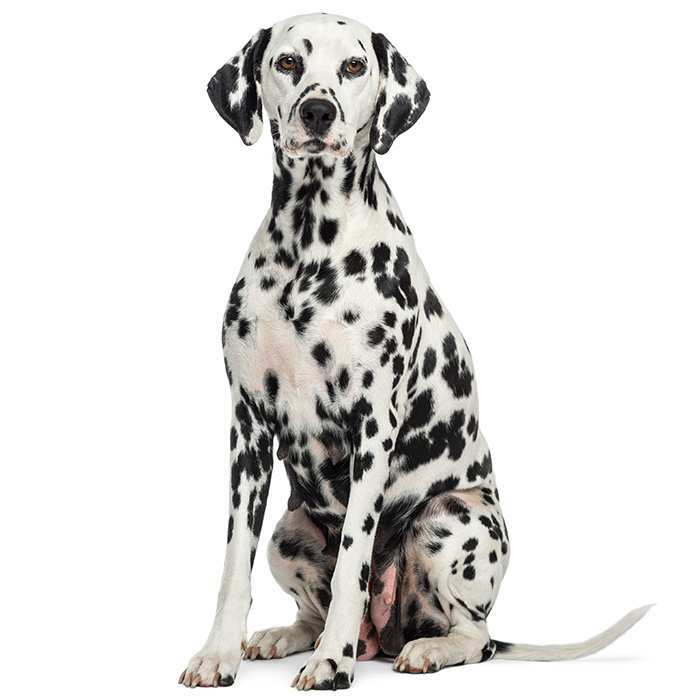 The breed was first noted in the 1500s in the description of a man who had ‘two Bolddogges by his side’. They were bred with the purpose of bull baiting in mind. This required the animal be both strong and tenacious with vicious fighting spirit. The modern English Bulldog is worlds apart from the fighting dog it was originally. The English Bulldog we all know today has been selectively bred over a few hundred years to serve as a companion animal. Although to some the Bulldog can appear intimidating, the breed has developed a great reputation for gentle play with children and tolerance for other household pets.  Their loyal and steadfast determination remains from their bull baiting days, however, and good training from a young age, paired with firm and consistent discipline is a must when owning an English Bulldog. 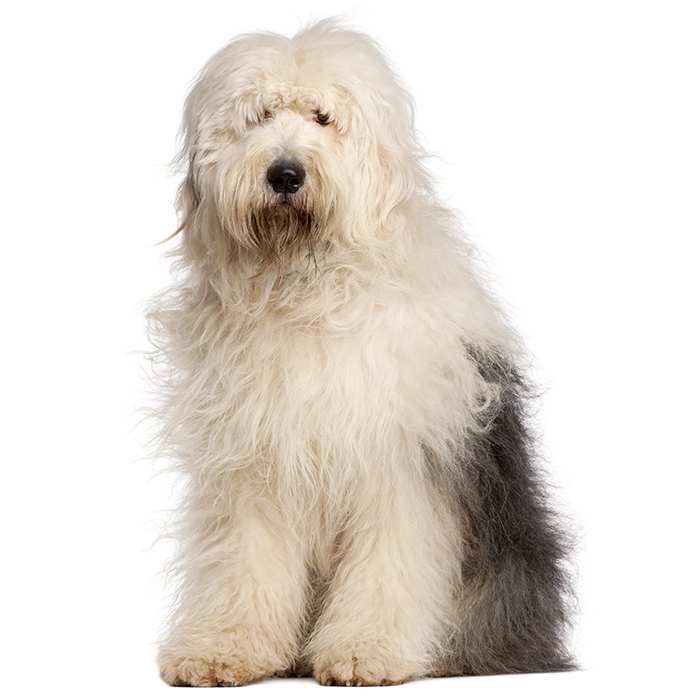 They are predominantly house bound pets and require a good walk at least once a day. The English Bulldog has fast become a popular family pet and their gentle but protective nature means that they are very personable and loyal family members. The breed requires a great deal of human contact and will show high levels of affection to their owners. If provoked or threatened by a stranger, the English Bulldog will bravely stand its ground and protect loved ones with determination. The average English Bulldog will grow to between 31 and 40 tall and should weigh in the vicinity of 23 to 25 kgs. 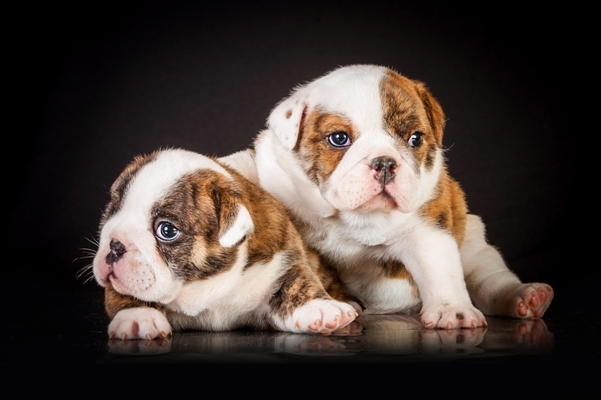 A healthy and happy English Bulldog will live to between the age of 7 to 10 years. The English Bulldog is a very persistent yet even-tempered and gentle breed of domesticated dog.  The intimidating appearance and the breed’s history is misleading as the English Bulldog has gone through many years of selective breeding to encourage the fine qualities the modern dog now has. English Bulldogs are very people-orientated and crave human attention at all times. The breed is highly affectionate and especially good with children, protective and enthusiastic. Because the English Bulldog requires so much attention it is best suited to a family environment where there will be some contact throughout the day. Separation anxiety is common in the breed if they are left alone for an extended period of time. Because the English Bulldog is a stubborn and persistent animal, training can be a chore but only if the owner doesn’t commit to a regime with patience and consistency. Commencing training when the Bulldog is a puppy is a must and establishing a pecking order early is essential for good behaviour to follow. 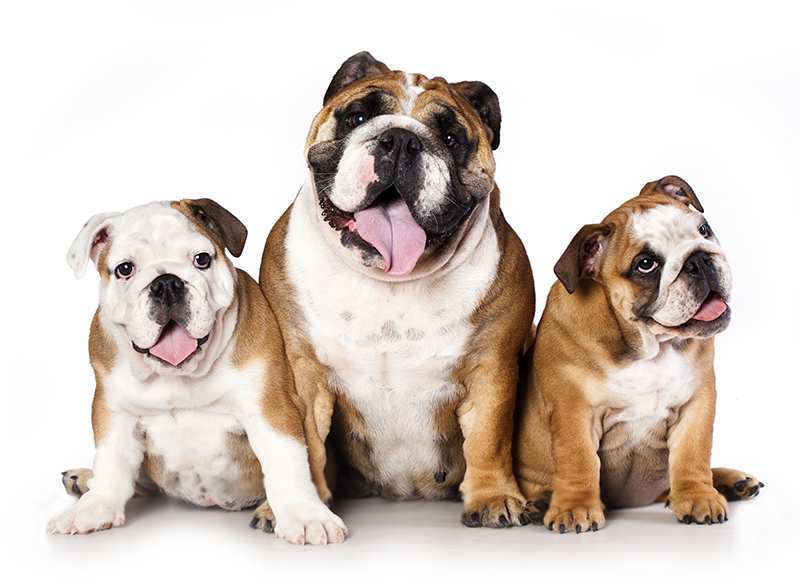 English Bulldogs are very loyal animals and are keen to please their owners. Firm and consistent discipline is important when establishing the position of the pack leader; respect will only follow if the owner remains dominant. English Bulldogs are not overly energetic but are enthusiastic at play time and should be exercised thoroughly at least once a day.  They are best suited to living indoors as they can feel the heat, especially in an Australian summer. 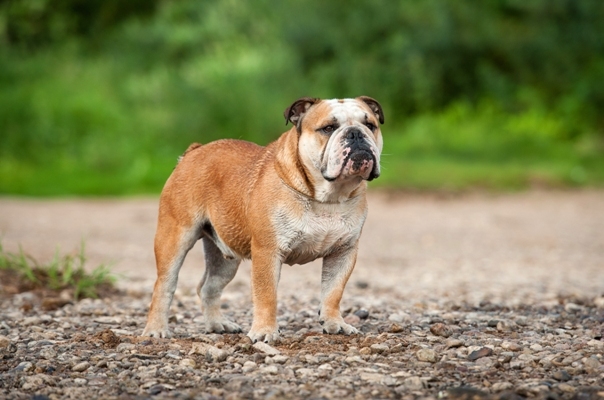 What are the most common health issues for British Bulldogs? Cherry Eye. This condition is quite common amongst Bulldogs, both English and French varieties and is a condition in which a third inverted eyelid is present. The condition can be corrected with care. Often upon examination the vet will have the third eye lid surgically removed. Brachycephalic Syndrome. This is common in the English Bulldog and any breed with shorter, stubby noses. The condition occurs when the airways are obstructed and breathing becomes laboured or near impossible, usually during times of extreme heat. This is most dangerous in summer as the Bulldog will not be able to regulate its body temperature, causing serious complications to health. Surgery to widen the nostrils and shorten palates can often help to lessen the severity of the condition. The name English Bulldog comes from the practice of bull baiting, the task for which the breed was developed. The English believed that if a bull could be tied down and provoked into a rage by a dog, the meat, come slaughter time, would end up being much more tender and delicious. On top of this, the act of bull baiting was a popular spectator’s sport and sometimes bears would be baited as well, simply for the amusement of the crowd. The English Bulldog’s strong body, paired with a brave and determined temperament is derivative of the breed’s history fighting bulls. When the practice was deemed ‘cruel to animals’ in England in the 1830s and made illegal, the English Bulldog, together with a number of English terrier breeds were swiftly put out of work. 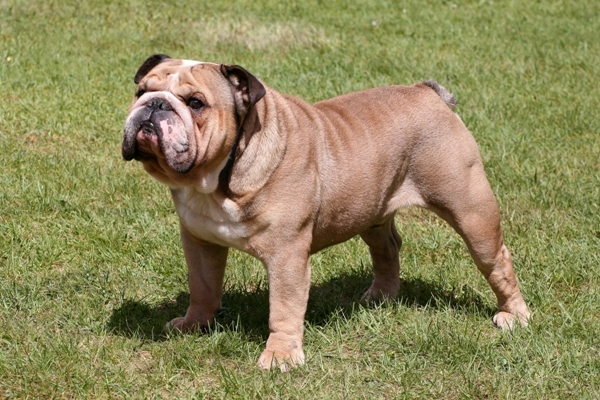 Despite having no apparent purpose in a working dog era, the English Bulldog was still admired by many for its brutish determination and loyalty. Selective breeding ensued in order to promote the docile qualities we know today, but keep the loyal traits, strength and persistence. In the 1860s the English Bulldog began to be entered into dog shows by the new type of breeders, helping to cement its place in the ‘companion dog’ category of our minds. In the 1860s the first Bulldog club was formed and another followed in the 1870s. In the 1880s the English Bulldog arrived in the United States and the first Bulldog club in America was founded in the 1890s. Although the English Bulldog had very violent beginnings, the breed has been developed into a docile and very affectionate companion animal, proven to be great with children and largely tolerant of other animals. Many people throughout history have been intimidated by the English Bulldog’s appearance. In the 1800s the city of Rome passed a law making it illegal for Bulldogs to be taken out in public, even on a leash. The English believed that bull baiting or teasing a bull with vicious dogs before slaughter would help to tenderise the animal’s meat. The idea was that getting the bull’s blood up and spirited would make it more delicious. Bulldogs are notorious for putting on weight. Your English Bulldog may seem sleepy or lazy when it comes time to go for a walk—don’t let them make the rules, you are the master. Even though they may appear lazy and nonresponsive, Bulldogs need a good walk at least once a day. English Bulldogs hate the heat and find it difficult to deal with humid climates. Try to keep your English Bulldog inside as much as possible and when they’re outside, keep a watchful eye on them—laboured breathing or coughing means that they’re far too hot.